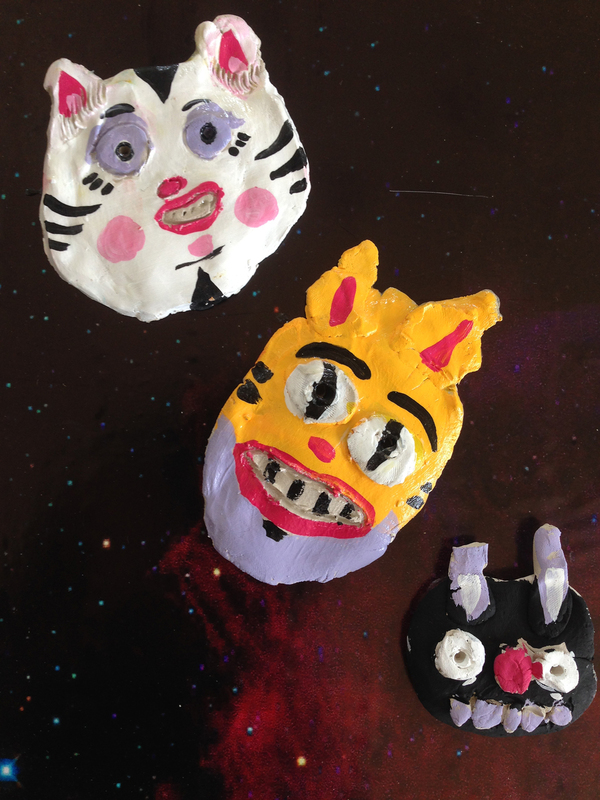 Published April 18, 2017 at 1000 × 1333 in MNA Foster Youth Program Works with Clay! I framed Graces clay pieces on a space background. Space Cats!